2009 saw many new Indies to arrive on the ModDB turf and many updates for those who where already here, to be nominated for an award in Best Indie Game projects need to have been updated significantly during 2009 and be Indie or a stand alone release. Here are the Editors of ModDB's top selection of 2009.
is loosely based on the sport of base-jumping. 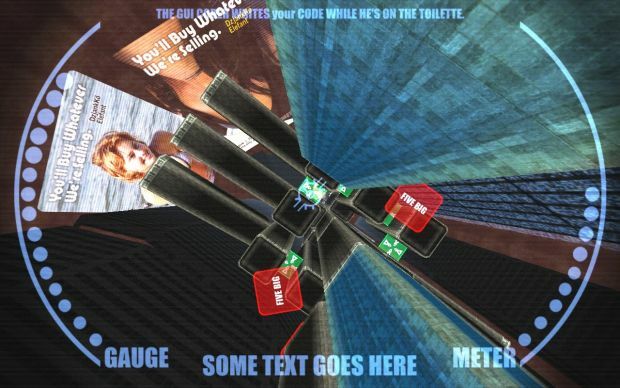 In the game, you gain points by swooping within an eyelash of buildings, scoring extra points by kissing the surface, all while going as fast as you can! You can score extra points giving a thumbs-up to spectators as you fall past them or be a rebel and gain points by flipping them off at just the right moment. 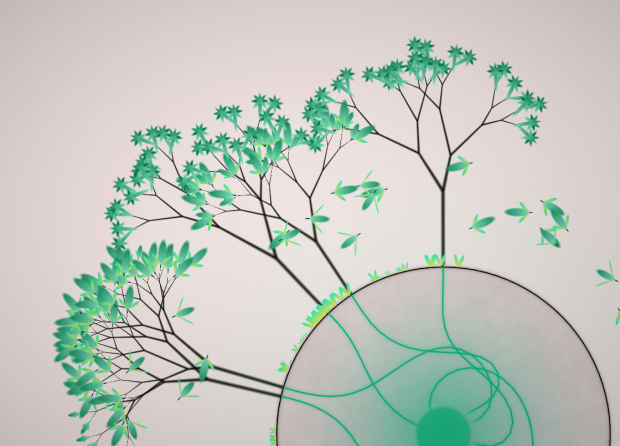 is an ambient game of space exploration and conquest that employs surprising themes of plant growth and bio-mechanical evolution. Conquer asteroids in space and use their resources to literally grow and nurture new semi-organic plants and creatures to do your bidding. is intended to be a recreation of the "Old West's" great atmosphere. It is being developed on IoQ3's implementation of Id Softwares IdTECH3 engine. This Total Conversion of Q3 includes weapons created with historically correct information about damage, rate of fire, reload time, etc. It also includes gametypes and maps inspired mostly from western styled movies. is an action/fighting game set in a punk fantasy world. The game blends the first person genre with the fighting game genre and the combat is generally up close and brutal. The original visuals, which make full use of the Source engine features, are a refreshing deviation from traditional fantasy games. Squids with guns! Pink Robots! Devils from the 4th dimension! Shopping Trolleys and Lasers. When 4 worlds collide, only SYNSO (he's a squid, not an octopus!) can save the day. 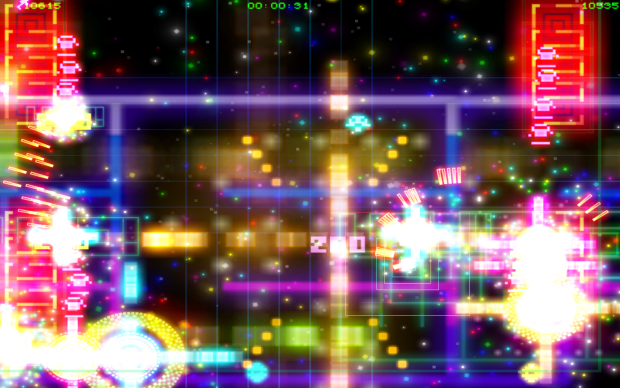 Psychedelic arena shooter action with visual and aural overload. Just the way sir likes it. Critically acclaimed and star of the Eurogamer Expo 2009 Indie Games Arcade, Squid Harder is an arena shooter like no other. ZENO CLASH ALL THE WAY! Zeno CLash and Smoking GUns FTW! Dys...Eufloria would be my choice. Zeno Clash was attractive and definitely original but I lost interest fairly quickly. Eufloria is both unique and provides plenty of entertainment. Was a great idea. Interesting selection, this'll be an interesting one! Can Zeno Clash even be nominated a second time? Whatever the case ZC or ARDG I think take it this time. But again a close one. All have their interesting sides. Zeno Clash better win, I don't think I can take all these 'out of nowhere' award winning games / mods? Concerning the Gameplay, Dyson is my favourite. Concerning graphics, I would choose Zeno Clash. A Reckless Disregard for Gravity IMHO. i would give this ti Eufloria but something tells me that Smokin Guns is gonna take it! I know I love Zeno Clash. But smokin' guns looks great. Eufloria FOR sure... pure gameplay... not bloat just game! Absolutely Eufloria. A GAME, really, pure GAME!!! I still enjoy playing that game, congratulations! Wow that was a damn tough category full of excellent games, congratulations to AAAAAAAAAAAAAAAA and to all other competitors (can't remember a year when there were so many excellent products in a single category). Bought it on the strength of this. Better be good Dave! :D Congrats Reckless! wow, that was so much unexpected!!! congratulations are in order i think!!! So, congrats to the smokign guns team! not this aaaaaaa ******* game! aaaAAAaaa, while not as polished and compelling as something like zeno clash, does looks really fun. Having played the demo of Reckless Disregard, I approve of this development. Remind me to buy it sometime. Congratulations Aaaaaaaaaaaaa! I think that Zeno Clash just didn´t win because it has lost much attention while the year was passing. Thanks for the votes. Very fun games all around. I like A Reckless Disregard for Gravity 'cuz it's something new that nobody else done before(from what i know)the idea of a game where you fall and get points while avoiding buildings sounds good to me! Now,about Zeno Clash,i am amazed by a FPS/Fighting game in a prehistoric era and cool guns,cool graphics,cool weapons,cool enemies!I like it! 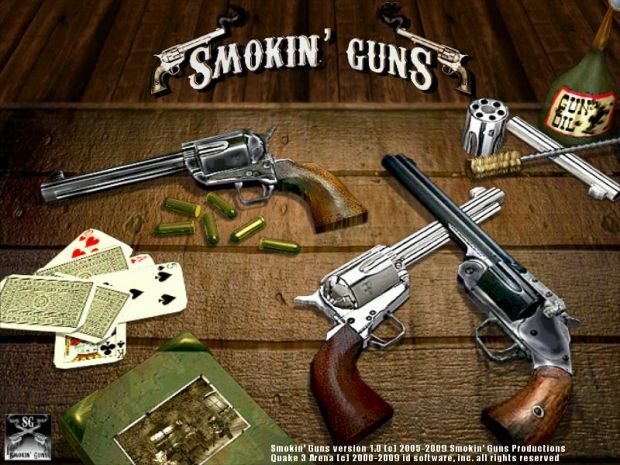 The last game that i like is Smokin' Guns!I wasn't very impressed by Call of Juarez/Bound in Blood or any other westerns until now but this one really got me 'cuz you get your weapons and start shooting the others!That's awesome! HOLY COW! I have an enormous, big grin on my face. :D I'm hollering at the rest of the team about it now. THANK YOU! OMG OMG OMG We WONNNNNNNNNNNNNNNNNNNNNNNNNNNNNN!!!!!!! Truely an honor to see Smokin' Guns nominated in the Editor's Choice category. Thanks MoDDB & congrats to all games that were in the running, especially the winner!